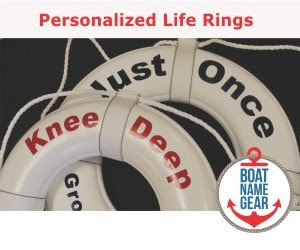 It is only the second weekend of the New Year, yet the 2013 boat show season is in overdrive with some of the biggest boat shows around the world, as well as several smaller boat shows. While boat show attendance was down nearly 20% at the New York show last weekend compared to last year's show, we're holding out hope that those numbers were attributable somehow to SuperStorm Sandy, and that the rest of the boat shows this season will attract bigger crowds. Houston Boat Show - This show has been going on since last Friday (1/4/13), and continues this weekend (through Sunday, 1/13/13) at the Reliant Center. The week-long Toronto International Boat Show begins today (Friday, 1/11/13) and goes through next Sunday, 1/20/13, at the Direct Energy Centre. The week-long London Boat Show begins Saturday (1/12/13) and goes through next Sunday, 1/20/13, at the ExCeL Exhibition Centre. 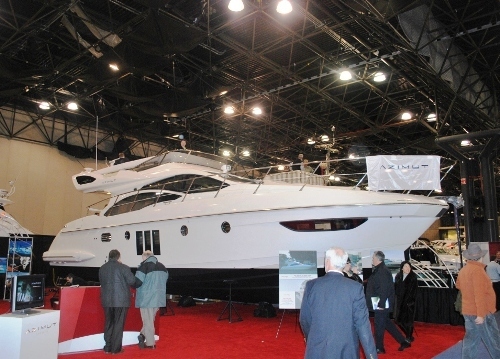 Chicago Boat, Sports and RV Show - Runs through Sunday (1/13) at McCormick Place. Atlanta Boat Show - Runs through Sunday at the Georgia World Congress Center. Kansas City Boat and Sportshow - Runs through Sunday at the Bartle Hall Convention Center, Kansas City, MO. Nashville Boat and Sportshow - Runs through Sunday at Nashville Convention Center. There are several other boat, sport and fishing shows this weekend, including events in Billings, Quad City, Raleigh, Stuart and more. 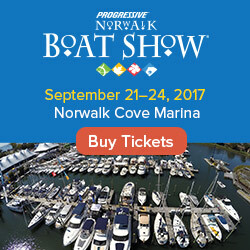 Check out our entire listing of events on the boat show calendar.